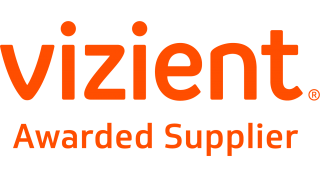 Contact us to set up a live demo. The ONLY FDA Cleared, CLIA waived products that use pH for confirming gastric acidity for tubes intended to end in the stomach. Fully closed system that helps protect clinicians and patients from exposure to aspirate. Indicated for neonates, pediatrics and adults. pH is the emerging US/Global Standard for confirming NG/OG tube gastric placement in the NICU. Faster and much less expensive than x-ray, immediate results and no exposure to radiation. Immediate confirmation of gastric acidity, without exposure to x-ray. Versatile, can be used in hospital or home environment to confirm tube placement without exposure to x-ray. RightBio Metrics Wins A First Place Patient Safety Innovation Award for the RightSpotpH®. RightBio Metrics was recently honored with a first place Patient Safety Innovation Award. Award recipients were announced on February 23rd in London, England during the 6th Annual World Patient Safety, Science & Technology Summit. 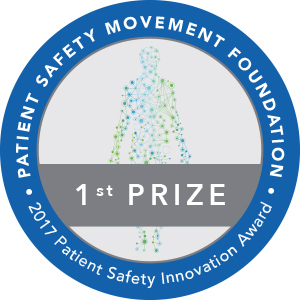 The Patient Safety Movement Foundation received 55 submissions from 6 countries and awarded RightBio Metrics first place based on the RightSpotpH®’s ability to help improve patient safety. Our Mission: Eliminate any harm caused by misplaced NG/OG tubes. Using evidence-based technology to confirm NG/OG tube placement is important. Validating correct placement with pH is the standard of care in the UK and is emerging as such in the US. Published research states that up to 56% of blindly placed NG tubes intended for the stomach do not end in the stomach and their mis-placement can contribute to morbidity and mortality (Quandt. J, Pediatr Gastroenterol Nutr. 2009). Why RightSpotpH® vs. pH paper? The RightSpotpH® indicators are the only pH products FDA Cleared and CLIA waived to assist in getting a pH reading of aspirate to help clinicians safely place tubes in the stomach. 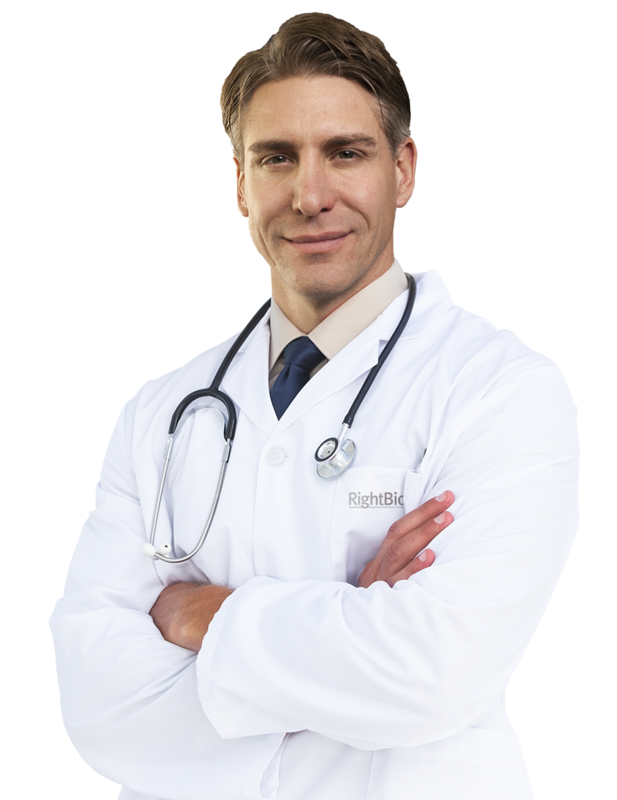 RightSpotpH® indicators do not expose the clinician to bodily fluids therefore do not require health care workers to use protective wear. The attached photo shows a test I performed on a patient with continuous feeds. Patient vomited and pushed his OG tube out so a new tube had to be placed. Tube was placed and PH was taken using RightSpotpH® indicator on 10 mL BD syringe. PH indicator immediately turned to a gold color closely matching that of 4.5 or less. I pulled several mL’s through indicator and removed indicator to place drops on PH paper. PH paper Lot # 208515 Exp 3/30/18 initially had zero color change. I took the attached photo several minutes later after finishing securing OG and the paper still had little to no change. 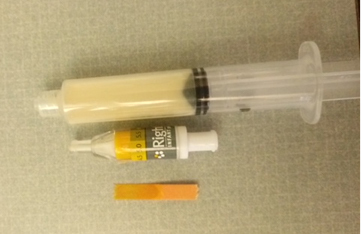 The residual I pulled from patient stomach was tan/white partially digested formula. Conclusion from initial use of RightSpotpH® indicator is that it is a much more accurate and reliable way to test PH. Without this indicator I would have had to rely on other means to identify placement of this tube. I will continue to seek other opportunities to further evaluate this product.